5 What Are Low Cholesterol Diets? As we all strive to live healthier lives, consuming low cholesterol diet is definitely one of the best ways to improve and/or maintain the health of our hearts. Cardiovascular health is a primary concern for men and women alike. Having a healthy heart is one of the first steps necessary to maintain a healthy life. Studies have shown that those that follow a diet low in cholesterol can decrease bad cholesterol by up to twenty percent. While this may not seem like a lot, it maybe all you need to avoid taking expensive medications to keep your cholesterol in check. Today’s health conscience crowd makes it easier to find foods that are low in cholesterol as well as foods that assist in lowering already high levels. One of the most agreed upon tips by specialists worldwide is to start your day with a bowl of oatmeal. This food has proven to be one of the best alternatives at lowering cholesterol. Like anything you approach in life, the first thing you need is motivation. However, maintaining or improving one of the most important organs of the body should prove to be motivation enough. Then you must have a plan to implement and carry out your life changing decision. Changing your eating habits can be a challenge therefore; eliminating those items that will tempt you in the future is paramount. Your refrigerator and pantry should be free of foods that are high in saturated fats. This type of fat is commonly seen in animal derived products like meats and dairy items. Replacing high fat items like butter and sour cream for flavour additives try spices and herbs that can add a wider range of taste to increase the interest and flavour of any meal. The step of removing offending foods will help you carry out your plan of consuming a low cholesterol diet. Maybe the most important thing to remember when attempting to eat a diet low in cholesterol is to stay away from foods with high amounts of saturated fats. While in the past, fat of any type was seen as ‘bad’, recent studies have shown that it is actually saturated fats that are the greatest culprit to increasing ones LDL (bad cholesterol). A simple tip to help eliminate some of this type of saturated fat is to substitute canola or olive oil or butter or vegetable oil when preparing a meal. This is just one way to decrease the amount of saturated fats consumed in a day. In addition, cutting back on animal by products can also bring down the amount of saturated fats one eats throughout a day. A good guide to follow is the vegetarian diet. These tend to have low amounts of red meats and dairy products while encouraging the consumption of high fibre foods such as fruits and vegetables. Eating a diet that targets cholesterol is not as difficult as it may seem. Any diet that focuses on consuming high fibre foods while avoiding or at least decreasing the amount of foods that are high in saturated fats can lead one to a healthier lifestyle and at the same time help decrease their bad cholesterol. Foods that provide high levels of fibre like vegetables (especially the green ones) as well as whole grains and some nuts (walnuts and almonds in particular) assists in cleansing the body of unwanted cholesterol. As a result, through implementation of a low cholesterol diet in combination with a high fibre diet, one will be able to decrease the amount of circulating LDL in his or her bloodstream. Every single member of your family should be conscious about the body cholesterol levels they have. The cholesterol diet plan is a clue in helping the family members achieved the goals of resolving the issues of high cholesterol. Exercise and proper food intake are general ideas for the family as a whole. The cholesterol diet plan will only succeed if the saturated fat intakes are reduced to a minimum. Saturated fat is usually found in foods such as whole milk, dairy food products such as cheese and milk and fatty sections of meat. This fat and cholesterol content is also found in coconut, palm kernel and oils. The cholesterol diet plan should be infused with fresh fruits and vegetables and whole grain foods that are rich in fibre. Foods that are low in fat are those foods that are composed of fewer saturated fats. Using such an ingredient in the cholesterol diet plan will mean using foods with monounsaturated fats like the olive and canola oils. For those that are filled with polyunsaturated fats, you can have the safflower, the sunflower and the corn and soybean oils. Losing the fats in the cholesterol diet plan will result to reduce the possibilities of incurring heart diseases and losing weight. Excess fat on the body has been noted to lead to certain cancers like colon and breast cancer. The best cholesterol diet plan should include foods that are rich in starch and fibre. Foods like bread, cereals, oatmeal, grains, fruits and vegetables and pasta. These foods are low in saturated fat that will help the body maintain good cholesterol. In addition to this benefit, the fresh fruits and vegetables are quite good in producing vitamins and mineral that will help the body. The cholesterol diet plan should also include foods that are rich in antioxidants as this will help the flow of blood better in the system. Thus, as the blood flows properly, the bad cholesterol flows along for proper excretion in the liver. It has been noted by experts that animal produce or meat is very rich in saturated fat. This fat will eventually lead to the creation of cholesterol that affects the body negatively. For those cholesterol diet plans that compose mostly o f plants, you get to reduce cholesterol better. A person who truly wants to get rid of the fat and cholesterol from the body must use all means necessary to do it. Hence, you must have the proper fitness program to accompany your cholesterol diet plan. Create a schedule that will fit your preferences and do the exercise for at least 30 minutes a day. The person who is determined to fight obesity is one who is more than willing to challenge himself with the cholesterol diet plan. The excess fats in the abdomen and central parts of the system are more prone to heart attacks. Balanced high cholesterol diet will lead to normal blood cholesterol levels, delay the development of atherosclerosis, angina, and thrombosis, and significantly reduce the likelihood of heart attacks, strokes, frequency of heart attacks. For persons with elevated blood cholesterol and atherosclerosis, it is important to follow basic rules keep to a high cholesterol diet. Cholesterol intake by healthy people should be less than 300 mg a day and patients with hypercholesterolemia and cardiovascular disease – less than 200 mg per day. 1. Change meat on fish, poultry and legumes (beans, lentils, peas). Give preference to lean meats, remove the meat with visible fat, and a chicken – the skin. Servings of meat, fish or poultry should be kept small (100-150 g ready-made – based on calories), and red sausages, sausages, smoked meats, hamburgers, hot dogs, bacon, pies, chips, a pleasure another dude-food should be excluded. 2. Eat oatmeal and whole meal bread (but no butter). Useful, it is possible to cereals, walnuts, almonds, chestnuts and dried fruits. 3. When cooking, use vegetable oils: corn, sunflower, olive, soybean. 4. Cook by steaming, boil and bake. Reduce the addition of oils, salt, and sugar – to exclude. 5. It is recommended to consume no more than 2-3 egg yolks per week (including eggs used in cooking). Limit consumption of offal: liver, kidney and brain. 6. As for drinks, give preference to green tea. Alcohol: less than 25 ml per day in terms of ‘pure’ alcohol (40 ml 150 ml of vodka or wine, or 330 ml of beer) for men, women half. 7. Give preference to dairy products with the lowest fat yogurt, kefir and 1% fat cottage cheese 0-4%, white cheese. 9. Eat more fruits and vegetables (adjusted blood sugar). 10. Once in a year (in the absence of other doctor’s recommendations) analyze the level of cholesterol in the blood. You may be one of the many individuals around the world that wants to know how to lower cholesterol diet? Most likely your physician has recognized you with being at dangerous of having coronary disorder that is cholesterol-related. That is why it has led you to such an approach of considering. Instead of trying to remember how you finished up having such a very bad analysis you must concentrate more on how to lower cholesterol diet. Complete cholesterol examining above 200 is not at all suitable or higher cholesterol is above 100. Some individuals say that it is simpler said than done but others might beg to differ. That is for those that have a very powerful determination. Most likely you are also heavy which will need you to execute reasonable to extensive workouts to lower cholesterol diet. Eating plan alone cannot give you the best outcomes without any actions. Research indicates that quick jogging for at least 20 to 40 minutes every day can improve the amounts of good cholesterol or higher solidity lipoproteins. High solidity lipoproteins negate the actions of higher cholesterol by getting rid of extra cholesterol in the system and moving them to the liver organ where it is later passed. The techniques on how to lower cholesterol diet are really very realistic and the food are very primary every day meals. But before anything else you must first set an objective. With the help of a physician you can figure out on how low you want your cholesterol to get. He will also have to look into your existing wellness such as historical past of coronary disorder, diabetic issues mellitus, being obese, hypertension, other pre-existing ailments as well as other way of life aspects. One of the primary techniques that everyone knows about is to eat meals that are low in sugars. Reduce down the overall fat consumption by staying away from cholesterol and decreasing fat. If you don’t know what those are. Well, let us put it this way…the meals that you always eat before you were recognized with having higher cholesterol amounts. Consider those as problem meals. The next step is to eat intelligent. Focus more on higher linens meals such as fruits and vegetables, dried beans, and crazy. Dissolvable eating fibre content takes up most of the eating cholesterol existing in your digestion tract and later is passed. It also results to a more time stomach-emptying procedure, so that you eat less because you feel full more time. Inadequate diet plan are what has led to your existing condition of adverse wellness. Other meals such as soy-based, place stanols and sterols containing meals can help you a lot in decreasing cholesterol. Eat more liver organ or choice meat that is less in fat. Eat more fat seafood and alternative your frequent oil with canola or important olive oil. Species of fish contains omega-3 fat that aid in improving HDL, decrease triglycerides, and lower cholesterol diet. Your nutritionist can also help you master how to lower cholesterol diet successfully. What Are Low Cholesterol Diets? Low cholesterol diets are simply put various food combinations that will help you lower your bad cholesterol. You might have also heard of them as ‘low fat diets’. When you know you need to lower your cholesterol levels, you are ready for a low cholesterol diet because it is very easy to implement since there are so many different types of foods out there. If you do not have the time to prepare your own meal, food manufacturers nowadays also make available low fat, or low cholesterol foods, so in this case all you need to do is shop for the right type of foods. Some of the things you can safely buy are fruits and vegetables, whole grain foods, low fat or skim dairy products, chicken, fish or turkey. Most fruits and fresh vegetables are low in calories and carbohydrates, so eating lots of fruits and vegetables are a safe bet for you to keep your cholesterol low. When you eat breads, try to go for those containing whole grain instead of going for white flour. Foods with white flour in them can actually be dangerous for other things as well, such as heart attacks. Many people love milk and dairy products, and you can have these as long as they are either low fat or skim dairy products. As for meats, chicken and turkey are safe as well as fish. Some people are craving a good steak now and then, and that is ok to have as long as you eat it in moderation and adhere to eating other foods that are included in low cholesterol diets. So you want to learn how to reduce cholesterol quickly. It can be a tricky task, but with the right commitment and dedication, yes, you can get those numbers down. Here are 5 techniques to help you lower cholesterol fast and be on the way to a healthier heart. Most public health organizations recommend 30 minutes of daily moderate exercise to lower cholesterol. But if you’re looking for how to reduce cholesterol quickly, you should do vigorous exercises. So if you normally walk after work daily, why not run instead. If you regularly do 10 laps in your community pool, do 20 laps, and you’ll be that much nearer to your cholesterol level goal. One of the best ways to get those numbers down is to increase your intake of fibre, especially soluble ones. Oatmeal, vegetables, fruits and whole grain cereal… these foods are healthy for you and are great for reducing cholesterol. So if you want to lower cholesterol fast, you can eat oatmeal for breakfast and dinner. Add some fruits and vegetables on the side for a healthy, delicious meal you’ll enjoy. If you’re carrying some excess paunch, you need to start shedding that excess fat now. The problem with excess body fat is that it causes your body to not metabolize cholesterol very well, so it means more cholesterol in your blood unable to be eliminated. So you need to make the commitment to get your weight down to a healthier, more manageable level. Many people have been able to reduce cholesterol with supplements. Some of the popular ones include red yeast rice, fenugreek and niacin. Of course, it is very important to talk to your health care practitioner first before taking any of these things. This is especially true if you’re taking any maintenance medications, as these supplements can have interactions with the drugs you’re taking. This is probably the most important thing you need on how to reduce cholesterol quickly. To lower cholesterol fast, you need to make a commitment to follow these steps until you reach your goal. The problem with people nowadays is the fact that they want quick fixes that magically make the problem disappear – but well, it doesn’t quite work out that way. If you really want to reduce your cholesterol level fast, you truly need to keep your eye on your goal and not give up. Stay committed, and you will soon see those numbers drop. So lower cholesterol fast with exercise, diet, weight loss, supplements, and the most important thing of all: determination. In order to avoid serious health problems like heart disease, you must maintain a healthy cholesterol level. There are several factors that can increase your cholesterol to unhealthy levels. A person’s weight is not only a risk factor for heart disease on its own, but being overweight can also increase your cholesterol. By losing weight you can lower your bad cholesterol and total cholesterol levels, as well as increase your good cholesterol. Plus, things like exercise, age, and gender also play an important part in whether you are at risk for having high cholesterol. Plus, your genes play a role in determining how much cholesterol your body makes. High cholesterol can run in families. Certain diets can also lower your cholesterol level. The best way to improve your cholesterol is to stick to a low-cholesterol diet. By cutting the bad cholesterol that you eat by ten to twenty percent, you can improve the health of your heart. Include foods that are rich in healthy fats like vegetable oils and fish. You should also avoid foods that are high in saturated fats and trans fats. One easy way to change your diet to a low-cholesterol diet is to replace the butter, trans fat margarines and polyunsaturated oils that you might typically use with canola oil, olive oil, or plant sterol spreads. Use white wine vinegar to keep your pan moist while cooking instead of butter. It does not change the taste of the food and it is low in cholesterol. You can also use a cholesterol-free egg substitute instead of whole eggs. As important as it is to change your diet to increase your health, it is equally as important to change your diet in the right way. Some people are looking to change their diet to lose weight but are not making changes in their diet in the right way. Actually, low-fat, high-carb diets can raise your cholesterol levels. Cholesterol is so important to the human body that your body has a backup plan in case you were to be in a situation where you were starving like if you were to experience a famine. What happens is that your liver will start to produce cholesterol to guarantee your body a baseline level. By eating a low-fat, high-carb diet, high levels of insulin are introduced and trigger the body to siphon off excess blood sugar into the liver to make cholesterol and triglycerides (which are used for energy and fat storage). Rather than staying away from anything that has cholesterol in it, it is important to continue to eat foods that contain good cholesterol. Your liver only makes 75% of the cholesterol that you need. The rest of the cholesterol you need comes from the things that you eat. If you decrease the amount of cholesterol that you are eating too much and make up those calories in carbs and sugar, your metabolism goes into famine mode and your liver overproduces cholesterol to make up the difference and stock up. This overdrive state will not shut off until you start eating cholesterol again. In truth, a low-cholesterol, high-carbohydrate diet can actually lead to high cholesterol! In order to avoid serious health problems like heart disease, you must maintain a healthy cholesterol level. There are several factors that can increase your cholesterol to unhealthy levels. A person’s weight is not only a risk factor for heart disease on its own, but being overweight can also increase your cholesterol. By losing weight you can lower your bad cholesterol and total cholesterol levels, as well as increase your good cholesterol. Plus, things like exercise, age, and gender also play an important part in whether you are at risk for having high cholesterol. Plus, your genes play a role in determining how much cholesterol your body makes. High cholesterol can run in families. 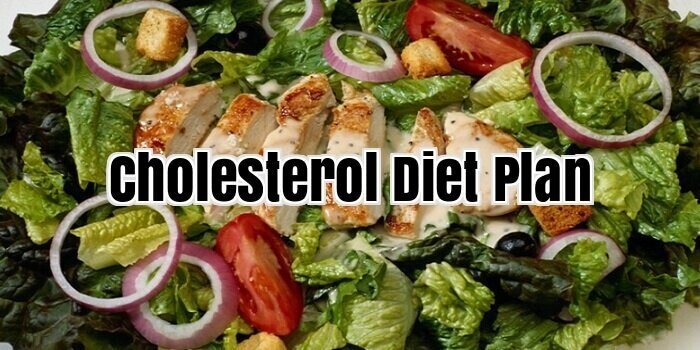 Certain diets can also lower your cholesterol level. The best way to improve your cholesterol is to stick to a low cholesterol diet. By cutting the bad cholesterol that you eat by ten to twenty percent, you can improve the health of your heart. Include foods that are rich in healthy fats like vegetable oils and fish. You should also avoid foods that are high in saturated fats and trans fats. One easy way to change your diet to a low cholesterol diet is to replace the butter, trans fat margarines and polyunsaturated oils that you might typically use with canola oil, olive oil, or plant sterol spreads. Use white wine vinegar to keep your pan moist while cooking instead of butter. It does not change the taste of the food and it is low in cholesterol. You can also use a cholesterol-free egg substitute instead of whole eggs. As important as it is to change your diet to increase your health, it is equally as important to change your diet in the right way. Some people are looking to change their diet to lose weight but are not making changes in their diet in the right way. Actually, low-fat, high-carb diets can raise your cholesterol levels.